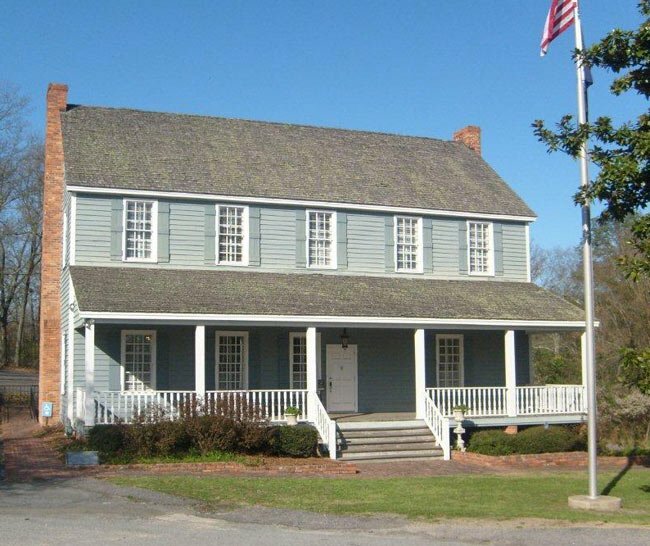 Built as a replica of historic Fort Granby, the Cayce Historical Museum is located downtown on 12th Street. Its collection includes a variety of exhibits that interpret the history of the Cayce, Old Saxe Gotha, Granby, and West Columbia. Among the artifacts on display are ancient Native American tools and art, all found locally. The history of Fort Granby predates the American Revolution. In 1765, Joseph Kershaw and James Chestnut of Fredericksburg (now Camden) opened a trading post and warehouse on the Congaree River in order to ship and receive goods from Charles Towne. The British took control of this post during the war and turned it into a military fort called the “Post on the Congarees.” When the Americans captured the post, they renamed it Fort Granby. After the war, the building fell into the hands of private citizens. James Cayce inherited the old building and made his home there. It eventually came to be called Cayce House, and the City of Cayce was named in honor of him as well. The land was eventually sold to the Weston and Brooker Quarry, and unfortunately the old home was allowed to deteriorate. The quarry now mines the area where Fort Granby once stood. During the early 1900s, a local contractor named John Ellisor constructed a scale model of Fort Granby. Later, when the City of Cayce was considering building a museum, they were approached by Ellisor, who wanted to build the museum according to his model. They liked his idea, and Ellisor oversaw the construction of the museum. SCIWAY thanks John Howell of Columbia for contributing these pictures and historical information. 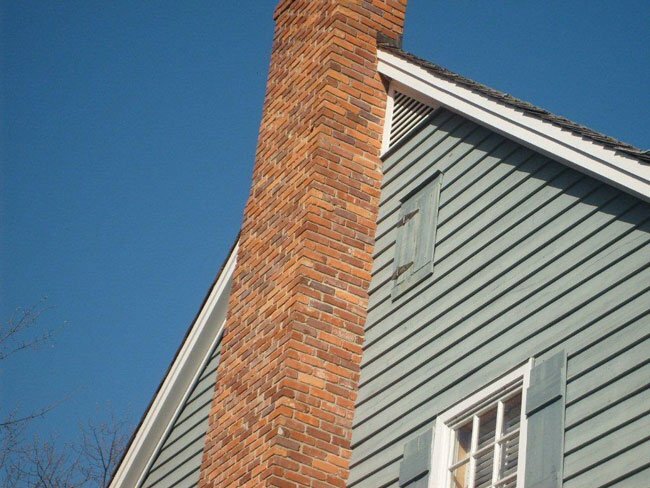 John tells us that the small door to the right of the chimney shown above may have been used as a portal to shoot from during times of war. 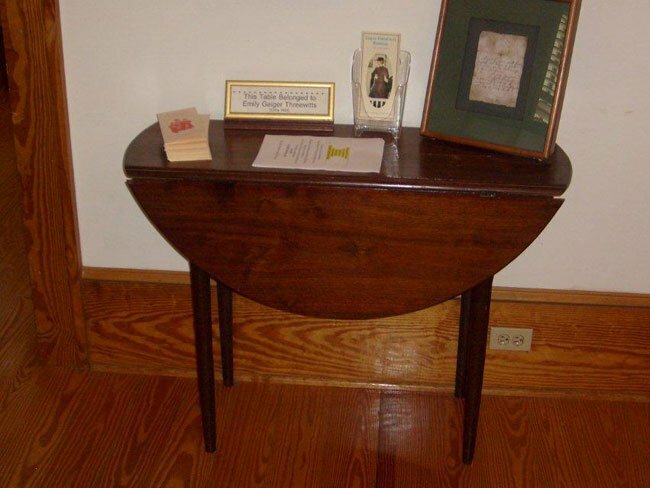 John also tells us that this table displayed in the museum (shown above) belonged to the Revolutionary War heroine Emily Geiger. 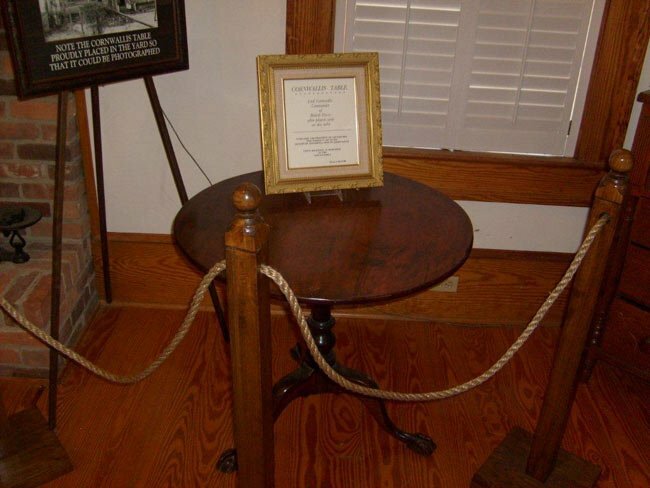 Is the Cayce Historical Museum handicap accessible? Hi, Marie. We have links on our site to SC Native Americans: https://www.sciway.net/hist/indians/ We also have one specific to the Congaree: https://www.sciway.net/hist/indians/congaree.html However, we are not connected to the museum, though this is the museum’s website: http://www.cityofcayce-sc.gov/museum.asp Best of luck! I am looking for information on the Native Americans of this area, especially anything on the Congarees and the trading post. Dear Leo and Rachael, I just wanted to thank you for time you shared with me and our family. We are the ones that you walked us down where the Fridays are buried. We had an awesome time! Thanks again. Pre-scheduled group tours are free. Rachel Worthy Steen, Tour Guide and Administrative Assistant to the museum’s Executive Director, Mr. Leo Redmond … COME AND DISCOVER OUR RICH HISTORY!